Chris & Joanne have been making pottery together since the mid 70's. Our clay work consists of kick wheel thrown and slab built forms in a variety of sizes, shapes and designs. 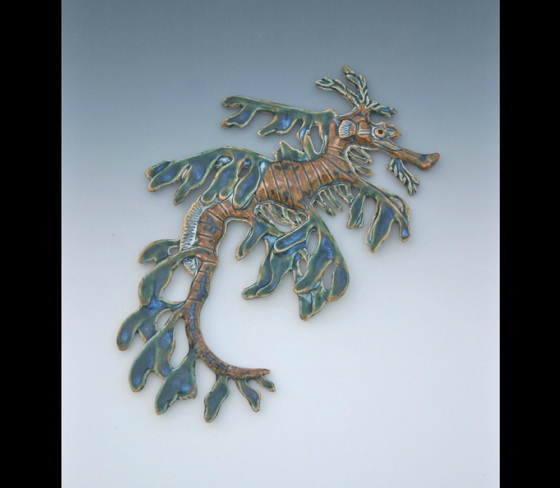 We also produce a line of ceramic wall art which includes sculpted mermaids, flying pelicans, sea turtles, whales, fish, sea horses, and other marine life. The pieces are then hand painted, glazed and fired in a gas kiln resulting in an iridescent watery finish in tones of lavender, greens and blues which enhances the form and design of the piece. Clay FantaSea strives to produce an enjoyable artistic product. Our clay work is available at ClayFantaSea.etsy.com and at various Art Festivals.